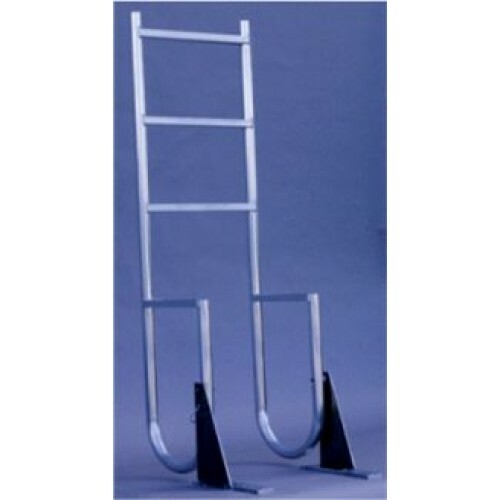 The swing ladder has the same great features as the straight ladder but can be stored and secured up and out of the water (90°) with a quick release pin. The ladder has a fixed s/s bolt through the ladder which pivots in a self-lubricating brass bushing installed in the bracket for maximum ware. Perfect for keeping side rails and steps clean. Available in 3,4 and 5 steps.